Plant phenomics. Plant phenotyping tools and research. 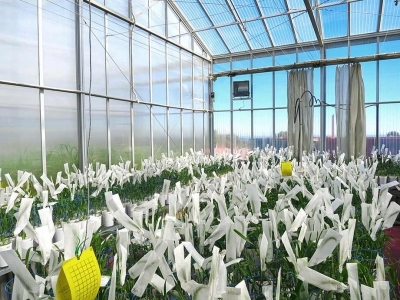 How will crops withstand changing climates? How will we ensure future nutrition? How do we ensure sustainable farming? How will we feed our growing population? The Australian Plant Phenomics Facility (APPF) is a distributed network of national research infrastructure platforms that offer open access to state-of-the-art plant phenomics technologies, tools and expertise not available at this scale or breadth in the public sector anywhere else in the world. Access to our infrastructure is available to academic and commercial plant scientists, from Australia and around the world, to address complex problems in plant and agricultural sciences. Researchers who have used the APPF’s facilities are making discoveries leading to the development of new and improved crops, healthier food, more sustainable agricultural practices and improved maintenance and regeneration of biodiversity in the face of declining arable land and the challenges of climate variation. Each of the three APPF nodes has unique, specialised facilities that interlink to provide a complementary, seamless service to users. A “research hotel” approach provides opportunities for more distantly placed researchers to utilise our facilities, either in person or remotely, through engagement of APPF staff, while mobile equipment is available for field deployment anywhere in Australia. We deliver project design solutions tailored to the specific needs of our facility users by providing access to a range of advanced technologies that accurately measure the performance of plants in different environments non-destructively and over time. In addition, we ensure ensure quality controls are in place and research standards are maintained throughout each project facilitated at the APPF. Capability enhancements through R&D and method development, as well as continuous improvement in the way services are delivered to the research community, are another key focus of the APPF. We provide state-of-the-art high-throughput and deep phenotyping technology in controlled environments, from large-scale Smarthouses to fully controlled growth rooms. 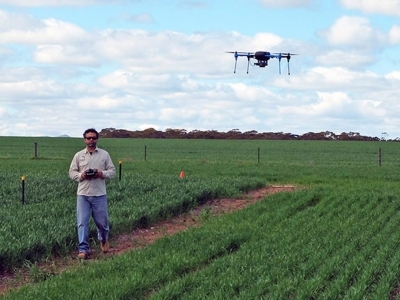 We have a suite of tools available for deployment anywhere in Australia to support high-throughput and deep phenotyping in the field, including Phenomobile® Lite, UAVs and large scale crop phenotyping and analysis. Our multidisciplinary team at the APPF provides expertise across plant physiology, horticulture, bioinformatics, biostatistics, software and mechatronic engineering, optical physics, remote sensing and data management. We also provide tools and expertise in data analysis and management. Our team of specialists can provide guidance on the best phenotyping technology for your research. 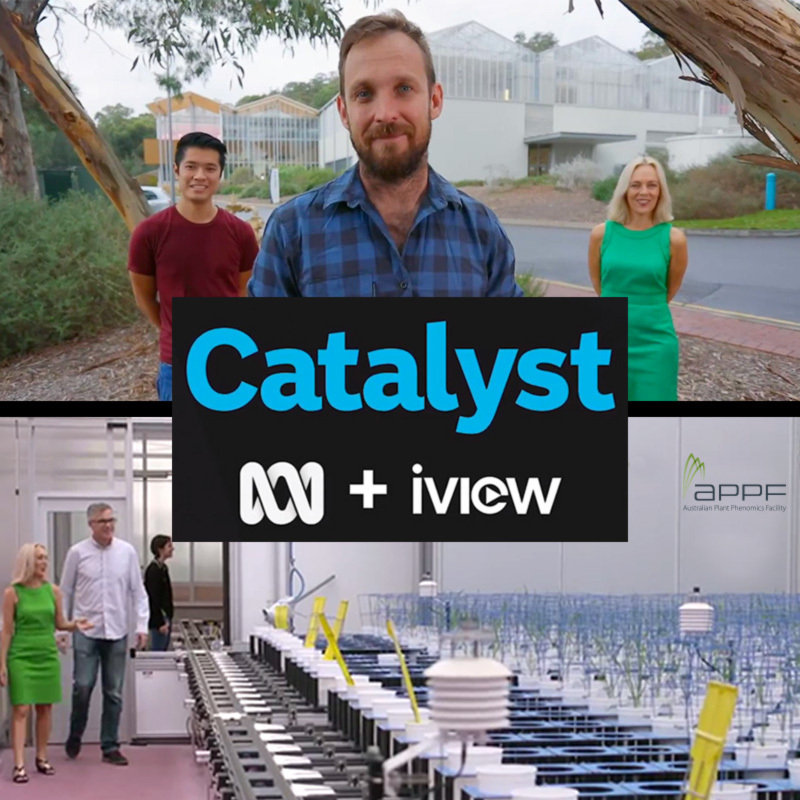 The two-part series, Feeding Australia, was produced by the Catalyst team on ABC TV. 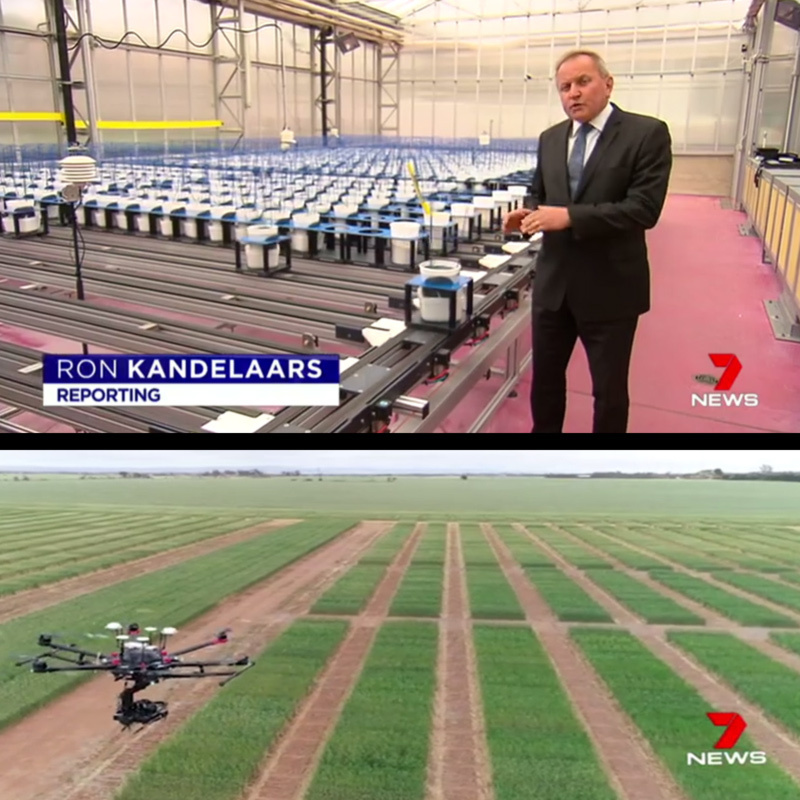 In Part 2, Chef Paul West, Professor Clare Collins and Dr Noby Leong reveal how technology is set to transform food production, including talking with the APPF and Dr Trevor Garnett in Part 2 here (start from 44:30). Feeding Australia – Part 1 “Foods of Tomorrow”, and Part 2 “A Sustainable Future”, are available to watch on ABC’s iView. As farmers across the country struggle with drought, researchers at the Australian Plant Phenomics Facility (APPF) and the University of Adelaide’s Waite Institute are developing wheat varieties resilient to climate change. They are improving genetic diversity and crop yields – and they are doing it using state-of-the-art drone technology and robotics.